A chapter from Adorno and Horkheimer's Dialectic of Enlightenment on mass-production of culture. We review Adorno's conception of the 'culture industry' as it is found in three writings: the essay 'On Popular Music' (1941), the 'Dialectic of Enlightenment' (1944), and the essay 'Culture Industry Reconsidered' (1963). 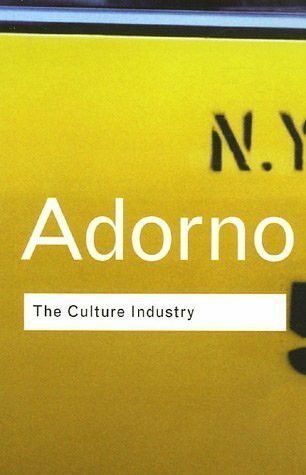 In these writings, Adorno has provided a theory of the nature of the culture product and its valuation.